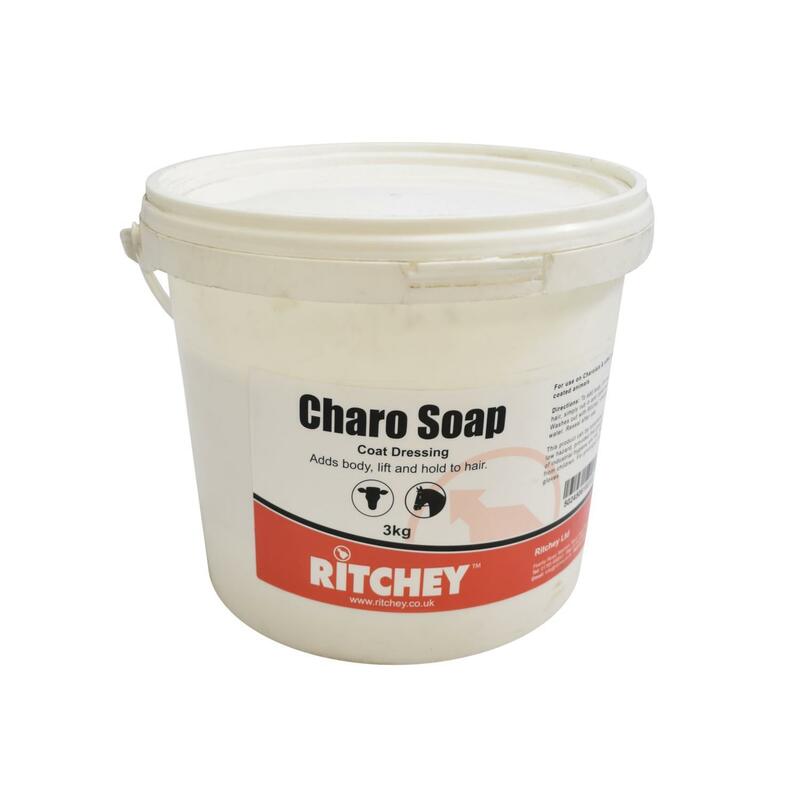 Soft, sticky white soap to be used on Charolais cattle to hold the hair in the desired position. Comes ready to use. Washes out with water.